The day has come at last when Mary will bring forth her firstborn Son. While we sleep tonight in our comfortable beds, in our comfortable homes and in a safe neighbourhood, an estimated 200 million street children will be sleeping down in conditions that are too dreadful even for stray animals. Our loving God must have grieved over the loneliness and desperation of these children. Where the world sees a filthy urchin, God sees a precious child created in his image. While we see their disposable lives, God sees their eternal souls. When the communities in which these children roam see a problem that needs to be fixed, God sees a child who needs to be loved. On the 9th day of our Christmas novena, united with the whole congregation, we remember all street children with and without names who are alive in our dreams, like the child Jesus who was born in a crib where animals fed. Little John was a happy boy, living with his family. One day he got surprised by being called a witch because of the death of two sisters in an inexplicable way. This caused a revolt in little John’s life. Everything was planned by the family that little John and his grandmother be killed for being the cause of the two sisters´ death. One day they hit little John and his grandmother. Then, they were thrown into a hole and stoned with the intention of burning them. At this same moment God provided the passing by of an SVD missionary at the place. The priest got informed of what was happening. Then, he approached, facing the furious family and got them out of the hole, taking them to a safe place and provided medical assistance and medication. Finally, little John was taken to the Centre of Children’s Care Arnold Janssen, where he was received and formed. Today, little John is an example for other children who face the same situation. John has a job thanks to the Centre’s help and is assisted by the Sisters and SVD Brothers. 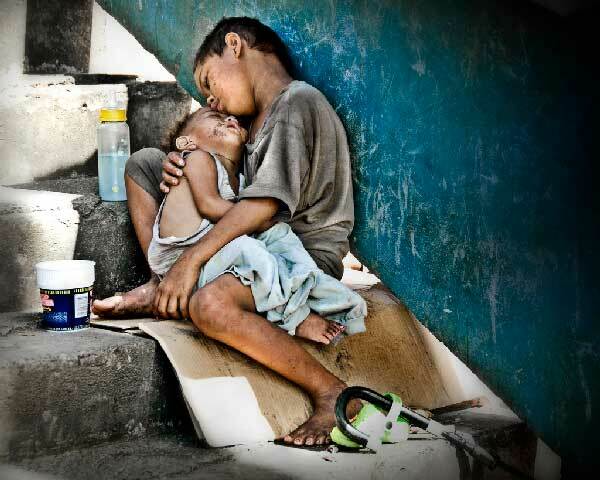 Loving God, embrace the lonely street children with the warmth of your love. Send them dreams of hope and rescue and make those dreams come true. Jesus, you seem to hang around in places where orphaned children and lepers, and the blind and lame lived their distressed and filthy lives. You reached out to them with compassion, love and healing. Jesus, use me, use us to touch these hurting people like you did. Let me/us get out of my/our comfortable chair and bring love and hope to those who need it most. Let it be done! Amen! Click here for the complete text of Christmas Novena 2016 (in different languages).